Pico de Gallo translated literally means beak of rooster. How a delicious mix of diced tomatoes, onions, jalapeño, cilantro, and lime relates to a beak of a rooster baffles me. 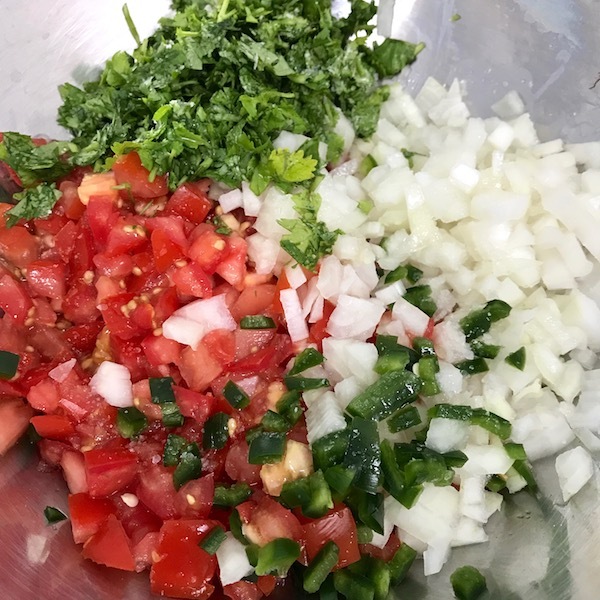 Regardless of the name, this fresh salsa mix can brighten any dish such as chicken, beef, pork, tacos, etc. It’s also delicious simply piled high on a corn chip. 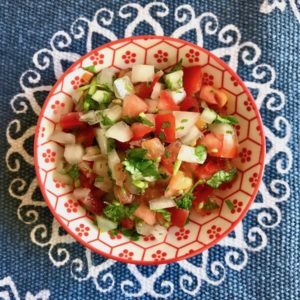 Summertime is a great time for making Pico de Gallo because you can use fresh tomatoes straight from your garden. The fresh sweet taste of garden tomatoes can’t be beat, but if fresh tomatoes aren’t available, you can always use market tomatoes or canned diced tomatoes. The size of the dice should be about ¼” in size. I don’t favor large chunky vegetables in a salsa. The smaller the better. 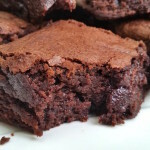 I feel the flavors meld better, pile on as a topping better, and frankly taste better when the size is on the smaller side. In order to accomplish a nice small dice, you need a sharp knife. Before slicing tomatoes, I make sure my knife is sharp. If it isn’t, then I grab my knife sharpener to get the job done. The best knife sharpener out there is by Chef’s Choice. I have both the electric and manual and use them all the time. 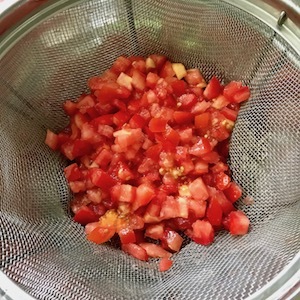 To achieve a meaty Pico de Gallo, it’s best to place the tomatoes in a colander or fine mesh strainer to remove excess liquid after they are diced. If you prefer to have some juice then you can omit this step. If you choose to drain, you can place a bowl underneath the strainer to catch those juices and freeze them in an ice cube tray or freezer bag for adding to soups and sauces instead of water. For heat, I use a jalapeño pepper. You can control the amount of heat by removing the membrane and seeds of the jalapeño. If you like it hot, leave some of the white membrane. If you are a glutton for punishment, leave some of the seeds too. Dice the jalapeño the same size as tomatoes or smaller to spread the heat throughout the salsa. I use Vidalia onions as I like the natural sweetness they bring to the dish. You can choose red or white, or the common yellow. Dice ¼” in size. The cilantro brings incredible flavor and you should only use fresh. 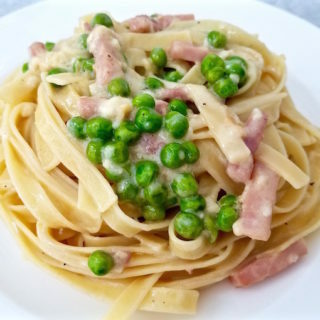 You don’t have to painstakingly pluck off the leaves from the stems as the stems contain flavor. My family uses cilantro often in Peruvian cooking. Once I was making a Peruvian dish called Seco – a beef stew with cilantro sauce. I was plucking the leaves off the stems and my aunt stood there watching me pluck away the leaves from the stems. She asked me what I was doing. She grabbed the bunch from my hand, twisted and broke off the bottom stems, then handed them back to me. She said, “Leave the thin stems with the leaves because they add flavor.” No more plucking for me. As a matter of fact, I cook more with cilantro because it’s much easier and not as labor intensive as I thought. Lime juice brightens this whole dish. Without the lime, you’ve wasted your time. A fresh lime should yield you about 2 tablespoons. 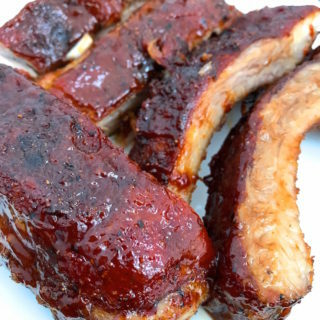 Use kosher salt and salt to your taste. I use about 1 teaspoon. 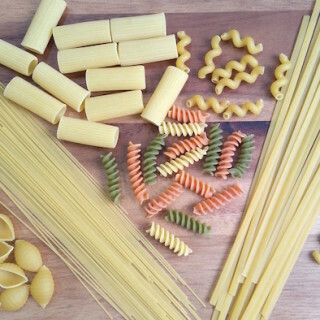 Mix everything together in a bowl and serve. Fresh tastes best. Serve and enjoy simply as a dip or as an accompaniment to brighten your favorite dishes. 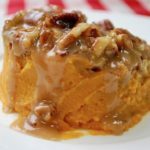 If you don’t eat it all in one sitting, store in a sealed container in the fridge for a few days. It won’t last that long. Enjoy. 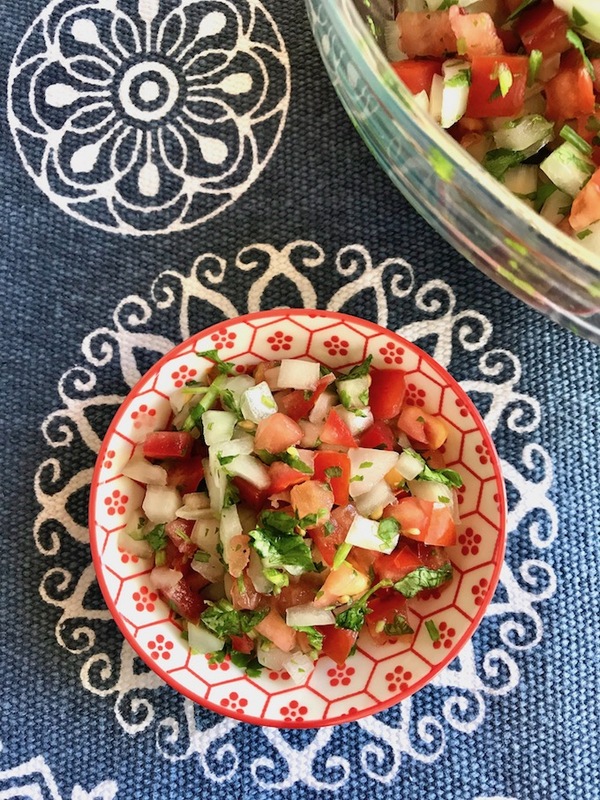 Pico de Gallo - a delicious mix of diced tomatoes, onions, jalapeño, cilantro, and lime - can brighten any dish or eaten simply piled high on a corn chip. To remove excess water from the tomatoes, place diced tomatoes in a colander or fine mesh strainer. Set strainer over bowl if you want to save juices otherwise place it in sink. 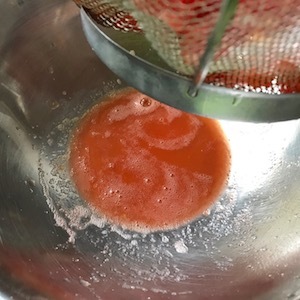 Shake the strainer a few times then let it sit while you prepare the other ingredients. See Note below. Finely dice the onion and transfer to large bowl. Slice the jalapeño pepper in half lengthwise. Using a spoon, scrape out seeds. Remove the membrane by carefully slicing across the top of pepper. If you like things spicy, leave some of the membrane intact. Dice the jalapeño and place in bowl with onions. Remove the bottom stems of cilantro. You don’t have to remove all of the stems where leaves are attached. The stems have flavor. Rinse. I like to place in a bowl of water, swish them around and lift them out onto cutting board. Any dirt will fall to bottom of bowl. Roughly chop the cilantro. You should have about ½ cup or so. Place in bowl with onions and jalapeños. Discard the liquid from tomatoes or freeze to later add to soups or sauces instead of water. Add tomatoes, lime juice, and salt to bowl with the other ingredients. Season to taste. 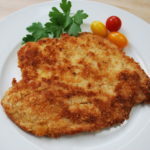 Adjust seasoning with additional kosher salt and/or lime juice, if desired. Use as a topping or accompaniment on your favorite dishes or as a salsa with chips. 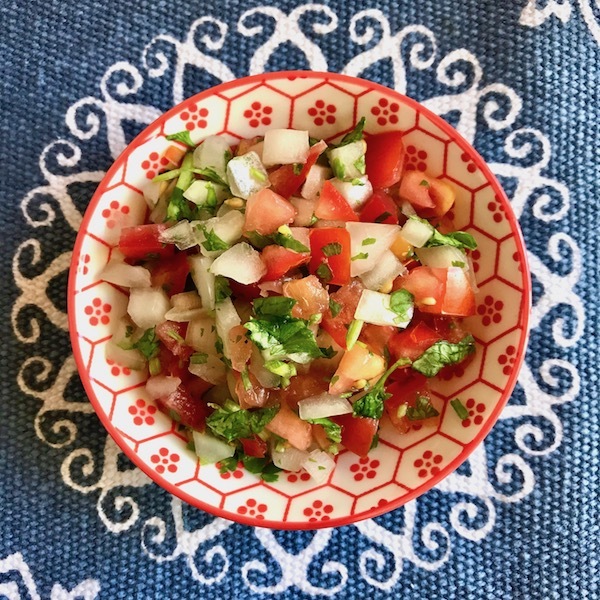 If you don’t mind the excess liquid from the diced tomatoes, you can omit this step and add all the ingredients in a large bowl and season to taste with about 1 teaspoon of kosher salt and additional lime juice, if desired.